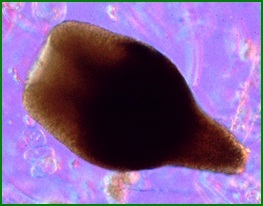 Inducible somatic embryogenesis in Theobroma cacao achieved using the DEX-activatable transcription factor-glucocorticoid receptor fusion. Biotechnology Letters 39 (11) 1747-55. Florez, Sergio L., Curtis, Matthew S., Shaw, Sydney E., Hamaker, Nathaniel K, Larsen, Jeffrey S. A Temporary Immersion Plant Propagation Bioreactor with Decoupled Gas and Liquid Flows. Maximova SN, Florez S, Xiangling Shen X, Niemenak N, Zhang Y, Curtis WR, Guiltinan MJ (2014) Genome-wide analysis reveals divergent patterns of geneexpression during zygotic and somatic embryo maturation of Theobroma cacao L., the chocolate tree. BMC Plant Biology 2014, 14:185 doi:10.1186/1471-2229-14-185. Larsen, J.S. ; Curtis W.R. (2012) RNA viral vectors for improved Agrobacterium-mediated transient expression of heterologous proteins in Nicotiana benthamiana cell suspensions and hairy roots. BMC Biotechnology 2012, 12:21. O’Neill KM, Larsen JS, Curtis WR (2008) Scale-up of Agrobacterium-mediated transient protein expression in bioreactor-grown Nicotiana glutinosa plant cell suspension culture, Biotechnol. Prog. 24 (2), 373-376. The plant biotechnology efforts of the Curtis Lab initially focused on secondary metabolites, fungal elicitation of plant defense compounds, and scale-up of plant cell suspension and hairy root cultures in bioreactor systems. Protein expression in plant tissue culture included developing strains of Agrobacterium that would not overgrow plant culture (auxotrophs) and using both transient expression in leaves, as well as scaled up in bioreactor systems. More recently, we have utilized transient expression to deliver transcription factors to activate the developmental process of somatic embryos (plant embryos that develop without fertilization). Bioreactors for plant tissue culture have been an ongoing theme of the laboratory ranging from traditional principles of mixing, pressure drop, residence time distribution in stirred tanks, trickled beds, and, for plant propagation, temporary immersion reactors. An important aspect of reactor design is minimizing cost (such as plastic bag bioreactors) and 'smart' operational strategies for delivering gas and extraction of secondary metabolites. Projects that developed as a result of our plant biotech expertise include protein expression in mushrooms, bioplastics production from squid, plant expressed animal vaccines, and pine tree propagation (from Weyerhaeuser). Plants can be propagated asexually (without seed) as a means of rapidly proliferating superior plant phenotypes. We have assisted in propagation of chocolate trees, Pines, (with Weyerhaeuser), and most recently yams (Dioscorea). This work includes genetic tools such as transcription factors and embryogenic proteins as well as bioreactor systems to facilitate commercial scaleup. sistant Theobroma cacao via embryogenesis and seedless watermelon via organogenesis. This work with seedless watermelon meristem culture demonstrated ability to remove sugar from plant propagation bioreactor media using CO2 supplementation and light – a major advance towards scaleup with reduced contamination risk. See more about application of this project in CurtisLab's Food Security research projects. Consistent with our goal of implementing low-cost bioreactors, a next-generation temporary immersion bioreactor was designed and prototyped over a period of five years per details in 2015 paper noted above by Florez et. al. The essential design consists of a disposable plastic bag suspended from a reusable headplate. Gravity, rather than gas pressure is used to transfer the media between the reactor and reservoir vessels. The overall design from materials to operation is evaluated in terms of scalability, reliability, and economic feasibility relative to typical rigid-vessel designs. The process of somatic embryogenesis (SE) allows for the propagation of identical superior plants from non-embryonic tissue. Traits such as disease resistance or higher productivity can be maintained in all the plants generated through SE; resulting in a greater economic value. While the process of SE occurs naturally in some plants and has been commercialized for many important economical crops, the mechanism behind this process is not completely understood. In turn, this limits the technical reliability with which commercial SE can be reproduced in other crops that are vital for food and economic security. The high-value commodity/luxury crop, Theobroma cacao (chocolate), enabled research using various molecular tools (e.g. microarray, genome sequencing) to provide greater insight into these mechanisms. Specifically, they helped us to identify several transcription factors and homologs of embryogenic proteins; first, in Maximova et. al., we published on successful transiently expression of BABYBOOM (BBM) transcription factors. Next, we demonstrated the ability to induce embryos using a transgenic DEX-activatable LEC2 transcription factor on young chocolate leaves--rather than only the diminutive chocolate tree flowers. In contrast to traditional somatic embryogenesis, this LEC2 (transcription factor)-method makes more plant mass viable as embryogenic tissue but also makes SE both much less time consuming and labor intensive. Embryogenic proteins, which can be added exogenously (i.e. via drip solution) to enhance SE, have also been a focus in CurtisLab's work with T. cacao where they have been shown to dramatically increase embryo yields (overall 3-4-fold). Successful demonstration in T. cacao has enabled continued research into the efficacy of similar (homologous) proteins for other food staples including yam, banana, and rice. Synergistically, CurtisLab plans to use low-cost bioreactor design to allow this process to be scaled up commercially. Transient protein expression in plants was a project developed in the mid-1990s as a means to rapidly express proteins in plant tissue culture without having to execute stable transformation. This was initially funded by Monsanto (2000), and then a joint Monsanto/NSF GOALI project with Monsanto acting as the industrial partner. The work continued with unrestricted funding from Merck, who came to the PI in large part recognizing his contributions in teaching and preparation of students to work in the pharmaceutical industry. The overall goal was to develop a transient protein expression system where DNA is delivered to plant cell cultures grown in bioreactor systems to allow production of protein in a time scale of several days rather than months/years required for transgenic plants. Agrobacterium auxotrophs were generated that would not overgrow plant cell culture; 5000 transposon insertion mutants were screened for their compatibility in tissue culture and ability to express heterologous proteins from transiently delivered DNA. O'Neill et. all (see above) demonstrates expression of intimin, an adhesion protein of food-contaminant, pathogenic E. coli O157:H7, towards oral cattle vaccine production. Transgenic plants expressing viral replicases were also generated to provide a complementary (ultra-safe) viral expression system where the sub-genomic virus only becomes functional when delivered to its ‘partner’ transgenic plant. The unique interaction of this ethanol-inducible transgenic replicase with oxygen in germinating seeds was used to characterize oxygen mass transfer in germinating seed embryos, which ultimately gave rise to a research program with Weyerhaeuser in propagating clonal tree embryos. That technology was transferred to Weyerhaeuser after developing bioreactor systems capable of producing hundreds of thousands of superior tree embryos (fully funded by Weyerhaeuser and still unpublished). Transient protein expression work went beyond its initial scientific goals to demonstrate scale-up of expression at a 60L scale in our pilot plant facility. This work complemented low-cost bioreactor design development undertaken by undergraduates and a visiting scientist. The work generated 1-PhD, 2-MS and included nearly 30 undergraduates including 10 honors theses. As a profound example of broader impacts, a group of 3 undergraduate students took the principles of plant cell culture bioreactor operation (and equipment available from the work) and applied these to turbulent disruption of pig blood cells that has resulted in statistically substantiating new theories of turbulent disruption of blood cells (and two of the students are now medical doctors). The H1N1 influenza pandemic of 2009 underscored the inadequacy of current commercial-scale manufacturing systems to meet the rapidly rising global demand for vaccines. Consequently, there is considerable interest in the development of new protein production platforms offering greater speed and higher output over contemporary methodologies. Due to the advent of a facile gene transfer method, coupled with existing mature technologies for the large-scale cultivation of its edible fruiting body, the mushroom (Agaricus bisporus) represents a promising platform for the rapid, high-capacity, and economical manufacture of biopharmaceuticals, including vaccines, enzymes, growth factors, and antibodies. Commercial mushroom cultivation is carried out using a bi-layered substrate consisting of a compost bed and a peat overlay, each of which is through-mixed with an Agaricus mycelial inoculant. In the course of a study focused on increasing the responsiveness of the mushroom-based system, we discovered that seeding the compost with a transgenic inoculant carrying a β-glucuronidase (GUS) reporter gene and the peat with a non-transgenic inoculant resulted in the formation of fruiting bodies expressing GUS activity in the absence of the cognate transgene. Results of PCR and RT-PCR analyses suggested that GUS protein expressed in mycelium colonizing the lower compost layer was shuttled upward into the fruiting body that had developed from non-transgenic mycelium colonizing the upper peat layer. The genotype of the fruiting body was found to be determined solely by the genotype of the Agaricus inoculant used in the peat overlay,being uninfluenced by the genotype of the inoculant in the underlying compost. A double-inoculant strategy whereby the bi-layered substrate was seeded with two transgenic lines carrying the gus gene controlled by different tissue-preferred promoters provided up to a six-fold increase in GUS activity relative to that obtained with a single inoculant.The findings provide insight into a newly recognized mechanism of long-distance protein movement in A. bisporus, and offer a unique strategy to increase heterologous protein production as well as capitalize on advantages of genetic engineering while retaining non-GM compliancy for this important mushroom species. Experiments are currently underway to determine if this protein movement extends to native proteins. The Agaricus GPDH2 gene was isolated from genomic DNA and a hemaglutinin epitope appended to the 3' end by PCR. This construct was put under the control of three tissue-specific mushroom promoters, and the cassette transformed into Agaricus bisporus. Transformants will be analyzed in an experiment similar to the one described above, with expression levels determined by Western. We are also attempting to further increase heterologous production using the pEAQHT expression system developed by Lomonossoff et. al at the John Innes Centre, UK. These vectors carry the GUS gene surrounded by the 5'- and 3' UTR from the Cowpea Mosaic Virus RNA2, sequences which have been shown to increase translation in transgenic plants. Researchers: Jeffrey Larsen, Ben Woolston, Matthew Curtis, Sergio Florez, Sydney Shaw, Kristin O'Neill, Tina Lai, Nate Hamaker, Morgan Shires, Chandler Thomas, Katie Legenski, Lauren Andrews. Collaborators: Mark Guiltinan, Morufat Balogun. expression in bioreactor-grown Nicotiana glutinosa plant cell suspension culture, Biotechnol. Prog. 24 (2), 373-376.
in Nicotiana glutinosa plant tissue culture. Biotechnol Prog. May-Jun;23(3):570-576. Andrews, Lauren B., Curtis, W.R. Comparison of transient protein expression in tobacco leaves and plant suspension culture. Biotechnol. Prog. 21(3):946-952, 2005. Curtis WR (2005) Protein Production in Transgenic Plants. In: Encyclopedia of Chemical Processing, vol. 4 (Lee S, ed. ), Taylor & Francis, NY, pp. 2489-2500. Florez, Sergio. Improved Plant Propagation through Manipulation of the Genetic & Physical Environment. Dissertation, Ph.D. Penn State University, PA (2015). Erwin, Rachel. Methods for enhancing somatic embryogenesis in Theobroma cacao. Dissertation, B.S. Penn State University, PA (2015). Curtis, Matt. Cloning of insecticidal BT genes for application to protection of mushrooms from fungus gnats. Dissertation, B.S. Penn State University, PA (2013). Curtis, Matt. Novel temporary immersion bioreactor allows the manipulation of headspace composition to improve plant tissue propagation. Dissertation, B.S. Penn State University: University Park, PA (2013). Shaw, Sydney. An improved temporary immersion bioreactor design for plant tissue culture propagation. Dissertation. Penn State University: University Park, PA (2012). Woolston, Ben. Development of Agaricus bisporus as a platform for heterologous expression of biopharmaceuticals. Dissertation, B.S. Penn State University: University Park, PA (2011). Tuerk, Amalie. Transient expression of therapeutic proteins and oxygen transport limitations in plant tissue culture. Dissertation. Penn State University: University Park, PA (2005).